Sorry I haven't been blogging consistently recently, I'm currently job hunting which is beyond dull and time consuming! I actually wrote this post a couple of weeks ago but on reflection the look I created took me aaaages to achieve and that isn't what I wanted for a fresh and effortless beach look. 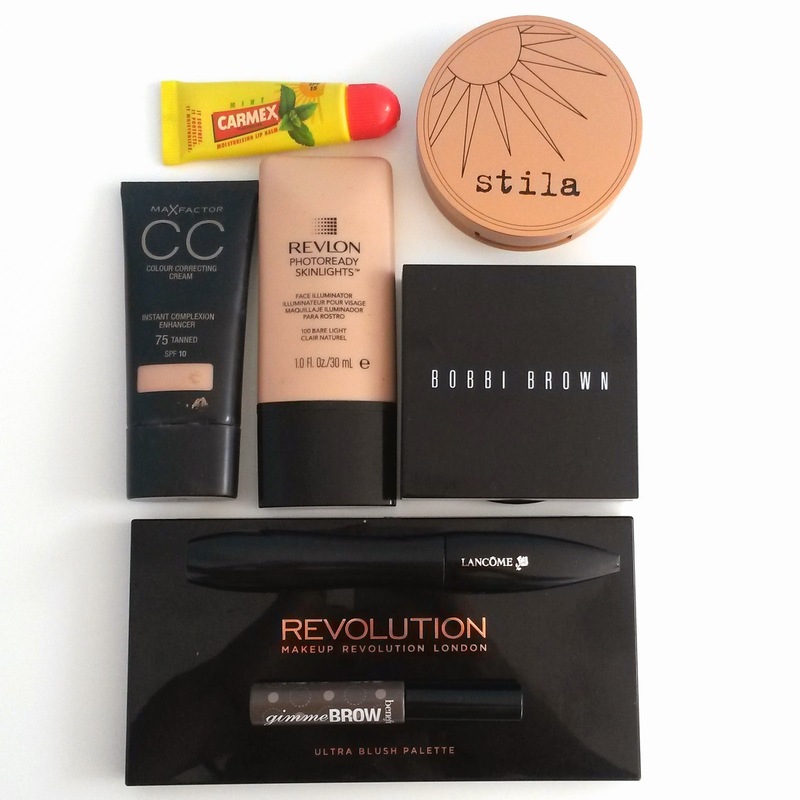 I used as little products as possible which includes very little contouring (SHOCK!) and some multi-use items. When you're creating a look that has natural eye and lip makeup, it's super important to get the skin looking as good as possible. 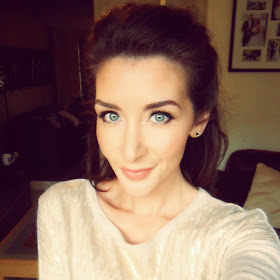 Firstly I used Revlon Skinlights Illuminator - Bare, on my cheeks (over moisturised skin). Then I used my absolute favourite Max Factor CC Cream on the best parts of my skin which are my cheeks and forehead, I applied this using MAC 187 brush. 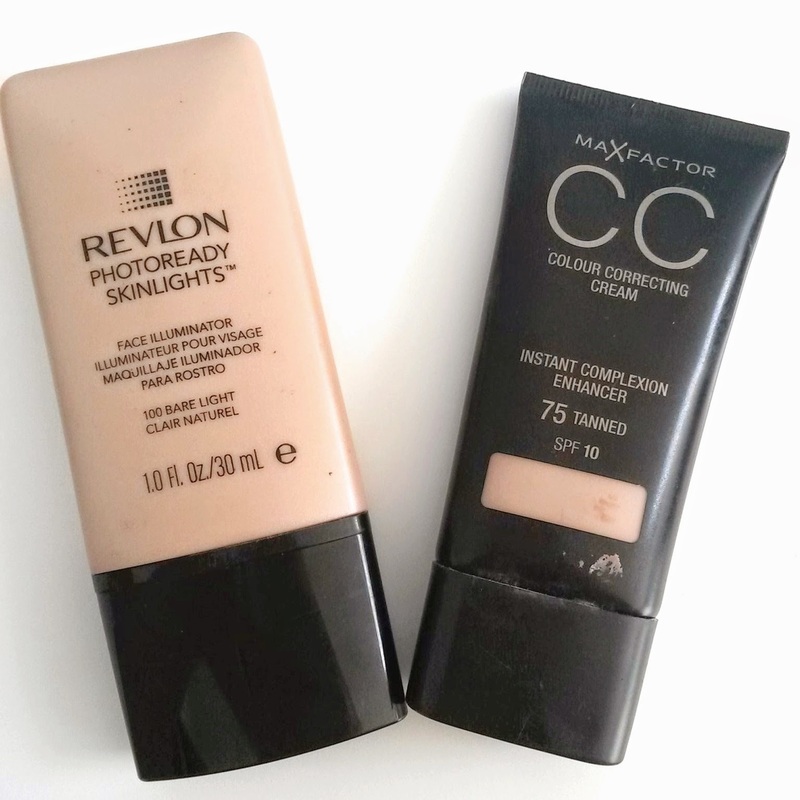 I then mixed the cc cream with my thicker Revlon Colorstay Foundation for the parts that I need more coverage which are my chin and nose. This just means that I don't have thick makeup all over my skin, and I'm allowing the nicest parts to shine through. 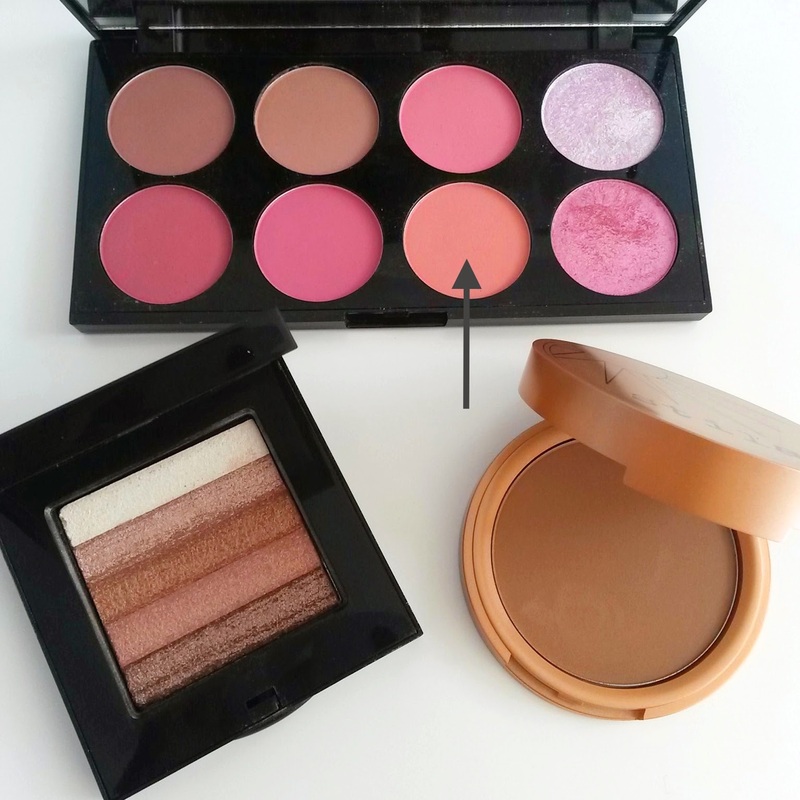 If CC Cream makes your skin too shiny, add a light layer of translucent powder over the T.Zone insuring that your cheeks are left dewy and glistening. This is usually where the epic contouring takes place, but not today! 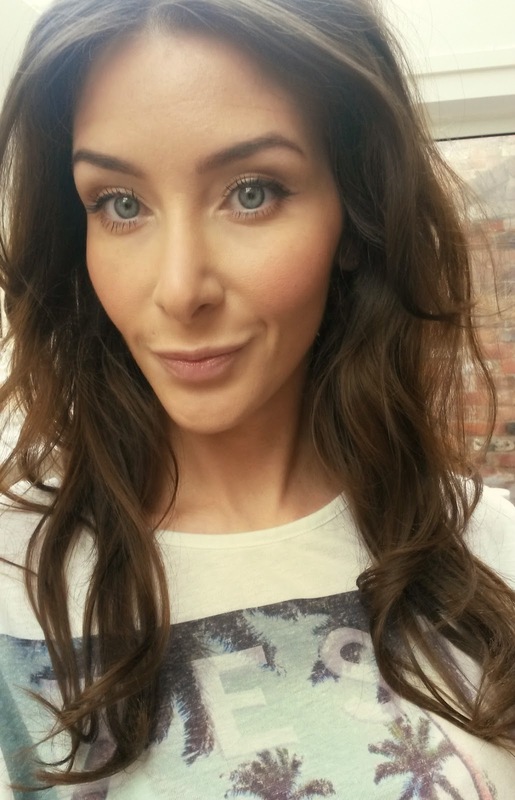 I added a very light layer of Stila bronzing powder over the forehead and VERY lightly under the cheek-bones. 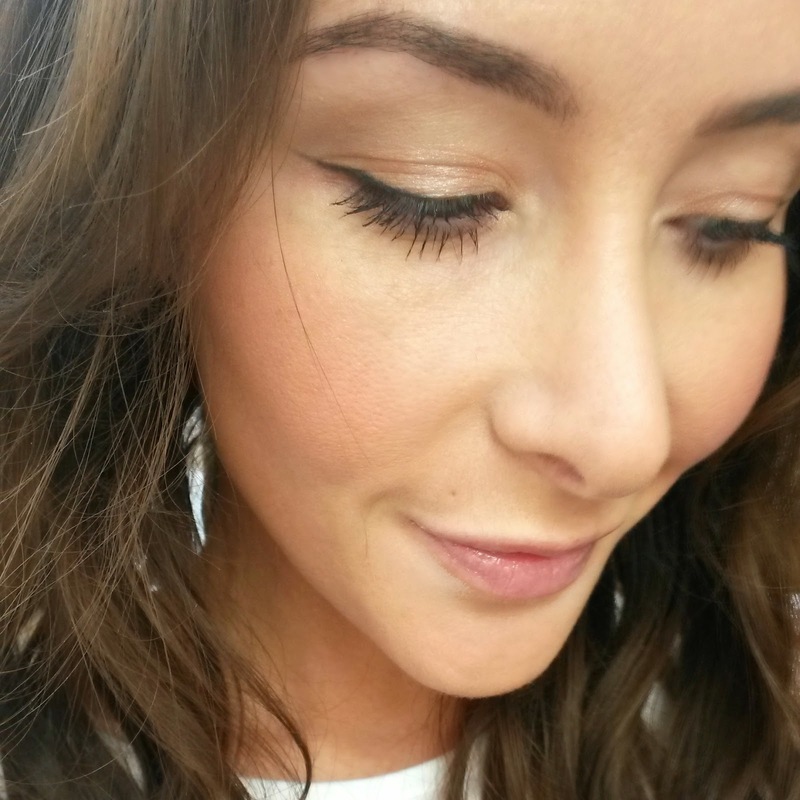 I then used the Bobbi Brown Bronze Shimmer Brick over the cheeks and across the forehead. I dabbed my finger in the white highlighter shade and added a line of highlight down the nose. 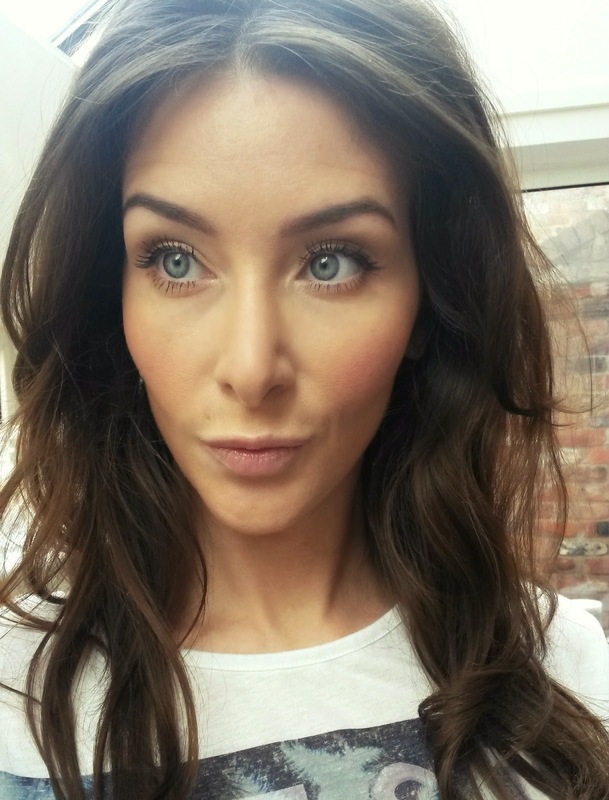 I used the orangey coral blusher from the Makeup Revolution Sugar & Spice Blush palette over the apples of my cheeks. 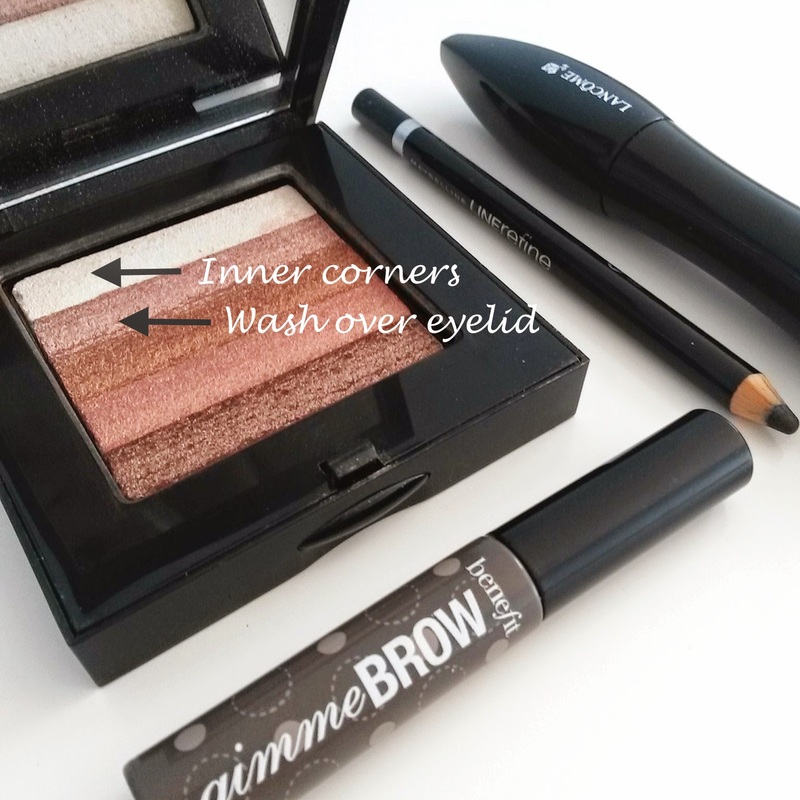 As this is supposed to be a quick and easy look, I used the Bobbi Brown Bronze Shimmer Brick again, but on my eyes. I used a light bronze shade over the whole lid and under the lower lash line. I then used the white highlight in the inner corners. DONE! I used a black Maybelline eyeliner pencil on the upper lid to frame the eyes slightly. I didn't worry too much about getting the line perfectly straight and precise, and then I coated my lashes with Lancome Hypnose Drama Mascara. I stepped away from 'structured brows' and literally just filled in any gaps with the Rimmel Eyebrow Pencil and then used Benefit Gimme Brow to keep them in place. I actually loved that they looked natural and more like sisters (not twins!! haha, love that saying). Yes it's true, I just added a small amount of Carmex lip balm to add a tiny bit of shine without the stickiness. I love tinted lip balms in the Spring & Summer, especially ones that have SPF. Lastly I brushed out curled hair in to loose waves and parted it down the centre. 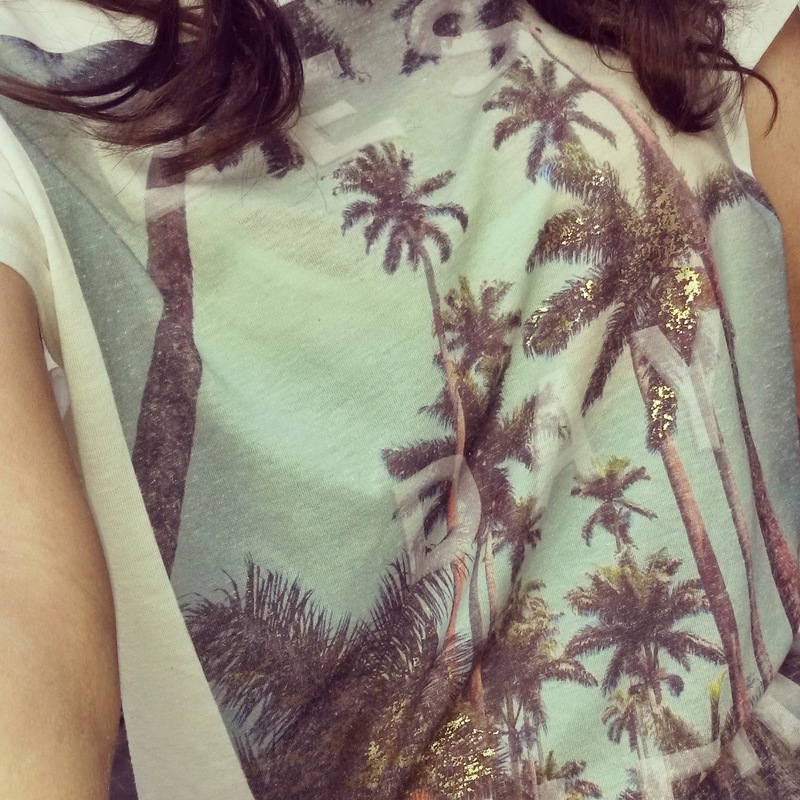 I then threw on a summery t.shirt and skinny jeans, good to go!